FULTON, Md. (AP) — With a newly minted PhD in “pure math” in 2004 (it was actually a dual degree in math and machine learning), Ellison Anne Williams saw her work going in one of three directions: the National Security Agency, IBM or academic research. She chose classified government intelligence work and spent the formative years of her career laboring away in secret, immersed in the agency’s mission. She climbed the ranks to become a senior technologist at the agency. She didn’t have to go far. She and about a dozen agency colleagues now work out of an office in Maple Lawn, a young community south of Columbia, Md., in Fulton. 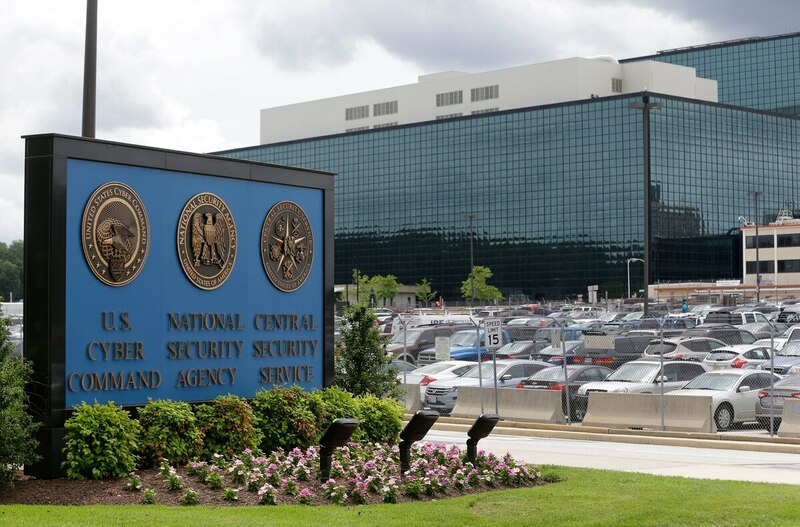 It’s just a few minutes’ drive from the NSA’s campus at Fort Meade. The small company, called Enveil, has more than a dozen corporate customers and has raised $5 million from investors. “It’s what I always wanted to do, but that doesn’t mean there wasn’t a cultural learning period ... a sort of detox,” she said. Investors are taking notice, leading to a doubling of the number of venture-capital deals going to Washington-area cybersecurity start-ups. Media and data giant Thomson Reuters, insurance firm USAA and Bloomberg’s investment arm recently invested $4 million to help Enveil grow. “JPMorgan and Morgan Stanley will take more people (from the NSA) in a month than we do in a year,” Janke said. The incubator benefits from added financial firepower from Silicon Valley. At the direction of Bob Ackerman, who earned the moniker “cybersecurity’s money man” for investing in the industry in its early days, Silicon Valley venture fund Allegis Capital recently set up a Maryland-based office to be closer to Datatribe and the NSA. To help in the effort, it added Dave DeWalt, the former board chairman of California cybersecurity giant FireEye, as a board member. DeWalt says he’s looking at Maryland-based companies because he wants to unlock the NSA’s trove of talent and know-how for the private sector. He says “offensive” cybersecurity expertise — as in going on the offense to hack someone else — is exceedingly rare in Silicon Valley but plentiful in Maryland. “It started 10 years ago, maybe less, when governments began to attack commercial companies,” he said. At one point “we responded to 5,532 American breaches” while he worked in the private sector. Ackerman said he’s not trying to poach people from the NSA or persuade anyone to abandon public service. What he does want to do is find people who are already thinking about leaving and give them an opportunity to start a business. Much of the incubator’s credibility comes from an early success that set a high bar for founders such as Williams. One of Datatribe’s first companies was a start-up called Onyara which, like Enveil, was built around NSA technology. It was founded by Steven and Joe Witt, brothers who respectively worked in the CIA and NSA. In family discussions that started in 2010 and fizzled out twice under “do we really want to do this” anxiety, the brothers left their respective intelligence agencies in March 2015, taking a handful of close associates with them. Onyara’s core product, called Apache Nifi, is designed to rapidly analyze the millions of rapid-fire signals that come off connected devices. The brothers declined to say what the agency was using it for, but the software was freely released outside the agency in the fall of 2014. “It takes somebody that understands the power of technology in a government setting to take a risk on something like this,” she said.